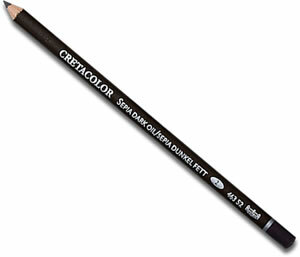 Cretacolor Sepia Oil is a variation of the traditional dry sketching pencil. It lays down smooth, deep colour which is totally water resistant. The pencil will not smear and is complimentary with all traditional sketching mediums.